It's impressive to me that, even in the 21st century, sacred traditions — rich with symbolism — still thrive in Europe's more remote corners. 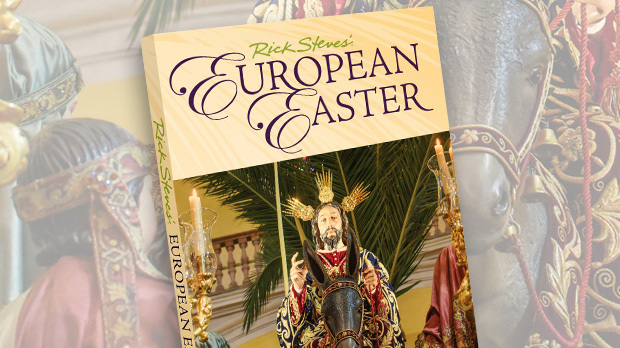 For example, while exploring European Easter rituals for a TV special, I headed to the rugged, mountainous Marche region in central Italy. 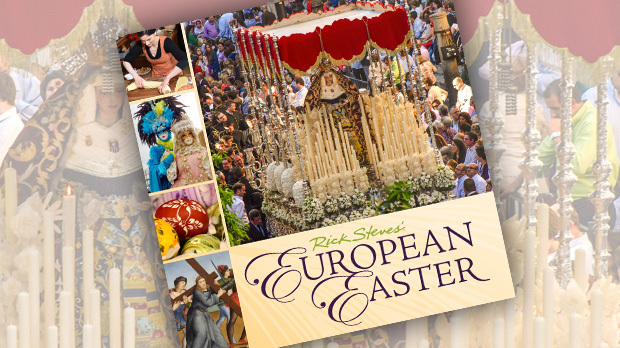 Among Italy's small towns, Gubbio and Cantiano are renowned for their Good Friday processions. In Gubbio, we joined the townspeople for a centuries-old annual procession featuring marching groups dressed in costumes reminiscent of an American KKK rally. But the purpose for these folks' cone-shaped white hoods is to make it clear that everyone — old and young, rich and poor (and black and white) — is equal in the eyes of God. Nearby, the picturesque town of Cantiano stages a Passion Play — a homegrown theatrical production of Jesus' final week on Earth. Under a full moon in the crisp air on Good Friday, the entire village packs Cantiano's main square to witness this timeless reenactment, just as they have for centuries. This year a costumed accountant played a centurion, the baker's wife became Pilate's wife, and the young IT whiz, Jesus. Some have held the same role for decades. Others play a succession of roles as they age — graduating from little-boy-in-the-crowd to Jesus to Jewish elder. Cantiano uses the town as its stage. Jesus' trial takes place in the main square. For the climactic crucifixion scene, the entire cast trudges up a torch-lit path to the top of a nearby hill. Jesus is in the lead, carrying the cross. Meanwhile, the spectators in the square below watch as the parade moves slowly to the stark ridgeline above town, where three crosses stand silhouetted against the sky. The dramatic finale, celebrating the Resurrection, leaves the center cross empty but for a shroud blowing in the wind, floodlit on the hill's summit. The townspeople consider it a great honor and act of devotion to play a part. After personally experiencing the emotional marathon of the Passion events, they are drained — but not too tired to forego the festivities in Cantiano's church, where there's a kind of Easter after-party. 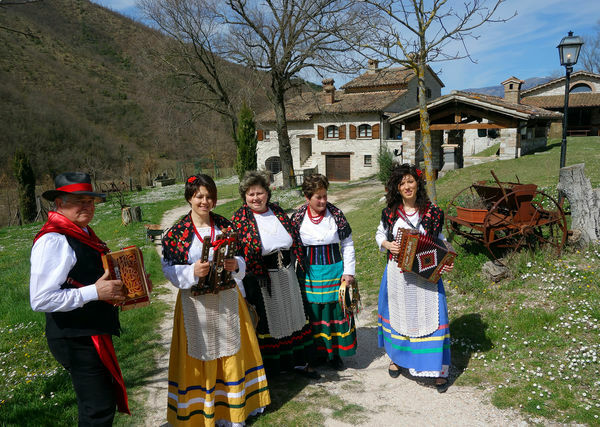 Another Marche tradition is for itinerant troubadours in colorful folk costumes to go from farm to farm singing songs of the Passion. They rouse the village with their music, welcoming the new spring. And then, as is the custom, they're invited to enjoy the fruits of last year's harvest — some bread, farm-made cheese, salami, and wine. All over Italy, special Easter foods are imbedded in the cultural heritage. Italian mamas specialize in schiacciata di pasqua, an anise-flavored Easter cake that they make only once a year. Baked goodies are not only packed with sugar and spice, they also come loaded with symbolism. Colomba, an Italian fruitcake similar to panettone, is shaped in a mold so it comes out looking like a dove, representing the Holy Spirit. During my trip, I had the great privilege of sharing an Easter meal with a family in rural Tuscany. 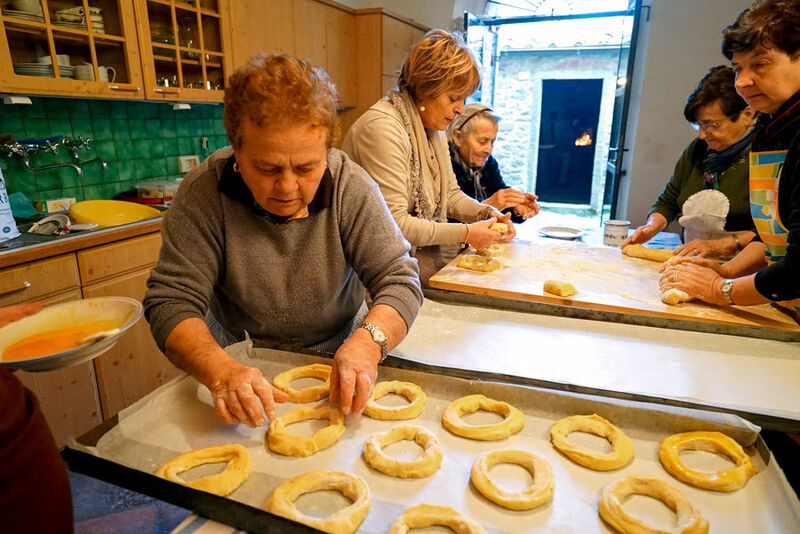 Nonna (grandma) runs the kitchen, preparing the ciambelle. With a gentle touch, she kneads the dough, then shapes it into rings, representing the Crown of Thorns. The eight-year-old takes them out to grandfather, who's busy stoking the oven with wood from his olive trees. When the coals are just right he spreads them carefully. Drawing from the practice of a lifetime of Easters, he cooks the ciambelle to perfection. In his cellar, he cuts a cured pork salami, hung from the rafters there to dry specially for this Easter meal. As all generations gather, the feast begins. Grandfather blesses the occasion with a toast. He slices his prized salami ceremonially like a Thanksgiving turkey. Eggs that have been blessed by the village priest are now passed around to be eaten, along with a wide variety of homemade breads. The main course is roast lamb served with an egg-based Easter soup (Brodetto Pasquale). The tagliatelle pasta has been made from scratch by grandma, mom, and the girls. For dessert, the ciambelle are served along with a small glass of a special dessert wine called Vin Santo — "Holy Wine" — recalling the blood of Jesus. Our bellies stuffed, we take a late-afternoon walk through the village. I know that my experience in Italy is one that is shared by people all across Europe. Everywhere, extended — yet close-knit — families are pulling out all the holiday stops. The table is set with precious family heirlooms. The dishes are lovingly prepared and familiar to all. On Easter Sunday, it seems that everyone has a place to be. And on this particular Easter, I was fortunate to be with friends in this Italian farmhouse. To be so far from my own home and loved ones — yet feel so welcome with this family — is a memory I'll treasure for the rest of my Easters.